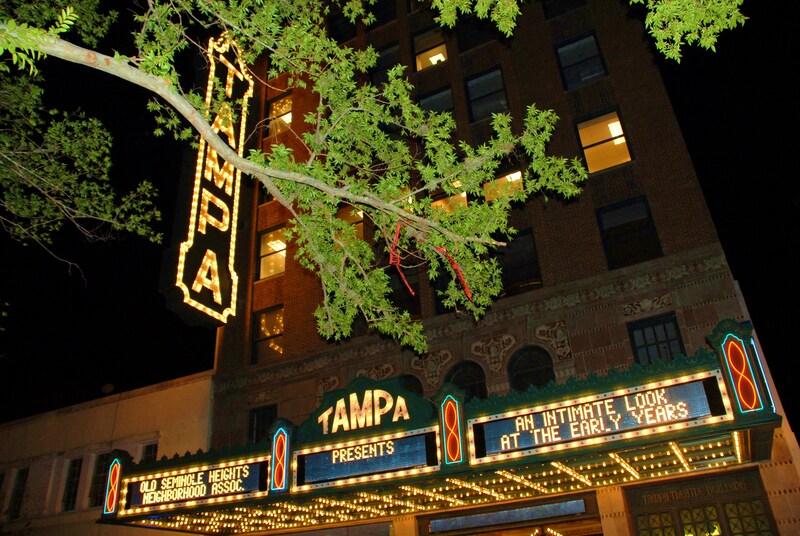 Tampa Bay is rich in history and we are proud to be restoring its built heritage, one wood floor at a time! We are experienced preservationists and strive to preserve historic materials whenever possible. The patina of old growth wood contributes a warm glow that is impossible to reproduce. Using a gentle touch, we give new life to old wood floors, often saving floors that other companies have suggested demolishing. 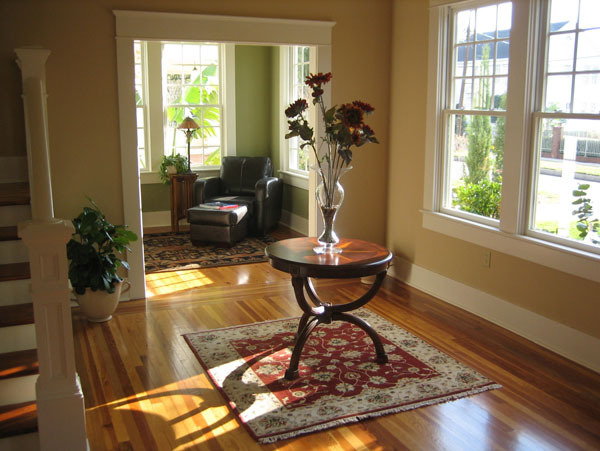 The majority of historic wood floors in Tampa are made of Oak and Heart Pine. Frequently, Oak was used in the public areas, while Heart Pine, a locally produced product, was used in the living areas. You can learn more about it here. Southern Yellow Pine is common in homes built after World War II. Today, this wood is a highly cherished part of any historic home, adding beauty and value. It is what is known as a "character defining feature," a design element particular to a specific time, place and architectural style. 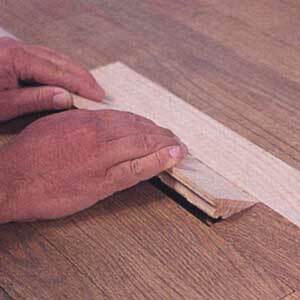 The first step in renovating a floor is assessing the amount of damage there is to individual boards. Here in Tampa, hardwood floors experience the munching of termites throughout the entire year and after 80-100 years, extensive damage can result. We can assess only boards that we can see. If your floor, or a section of it, is covered by carpeting or anyother material, there is no way to know the extent of any damage. All problems might not show until we have done a pass over the floor with a sander. Termites eat from under the floor, so wood can look just fine on top, but be eaten underneath. Some of these boards may need only filling, but some may require removal and replacement. We charge for each board for this, by lineal foot. The charge includes labor and materials. After carefully removing damaged boards, we generally "lace in" the old wood creating a patch that will not be visible after the floor is sanded. In a very old house, especially a farm house, with many obvious patches, we might just cut out boards and replace them, leaving another easy to see patch, such as might have been made by an early owner, wanting to please his wife, but eager to return to his field. We keep supplies of recycled wood for patching and also have many sources for Antique woods, both reclaimed from old buildings and from the bottoms of deep rivers should extensive patching be required. We then sand your floor with our state-of-the-art equipment. Sanding is a process in which we cut your floors with different abrasives to remove old finish, level the floor and smooth out the wood to accept the new finish. The heavier grits make deeper cuts into your floors and the successive lighter grits smooth the floor to make the hardwood floor ready to be finished with your choice of coatings. Though our machines are most recently developed on the market, they'll feel right at home in your old house! Calibrated to remove the smallest amount of wood possible to extend the life of your historic hardwood floor, our sanding equipment is designed to create a very smooth and flat surface. Thanks to new advances in technology, it provides an almost completely dust free environment. Using HEPA (High Efficiency Particulate Air) filters, it will remove 99% of the sawdust created in your home during floor sanding. Homeowners love this feature! In untrained hands, this equipment can bounce along a floor, causing "chatter marks" or dig too deeply into the wood making uneven spots and shortening a floor's life. Our craftsmen are schooled well in the proper handling of these cumbersome machines to remove only the amount of material necessary to smooth the floor and prepare it for staining. We take particular care at the edges of your floor, using a special machine to fine sand any imperfections left by the edging sander. This is one of the added steps that we do that set us apart from other companies. We belong to the National Wood Flooring Association. This organization sets the standards for our trade and provides us with continuing education on cutting edge technology, equipment and products. Our craftsmen attend their schools in Missouri to learn the latest procedures that will allow us to give you a better floor, more rapidly and efficiently. These week long schools offer hands-on training from the top flooring masters in the country. As a result of their training, our finishing crew is at the top of their craft. After we make the first cut, we reassess for damage to individual boards. Pests usually eat from the bottom up, so often damage cannot be seen until some of the wood is removed from the top. Often, we must replace more boards at this time. When the floor is sanded, we sometimes apply a stain, which changes the color of wood. Our craftsmen are wizards at mixing custom stains to compliment other wood or design elements in your home. Often, we are called upon to match other the other wood floors in the house. Homeowners are delighted with the results! Our final step is to coat the floor with a protective finish, such as polyurethane. We suggest using a medium gloss sheen to mimic that of the original wax finish, rather than a more shiny gloss. BONA certified craftsman badgeAfter carefully researching wood flooring businesses, Bona has chosen Through the Woods as one of only a handful of companies in the state to train, certify and recommend. Our employees are among the few brought to Bona's North Carolina technical center, to train and certify in the advanced surfacing and finishing techniques required for a quality restoration. Bona's cleaning products will keep your floors fresh and clean. Through the Woods' advanced knowledge and use of newly developed tools and materials ensure that your floor will serve and please you and your family as well as preserve its story for future generations.